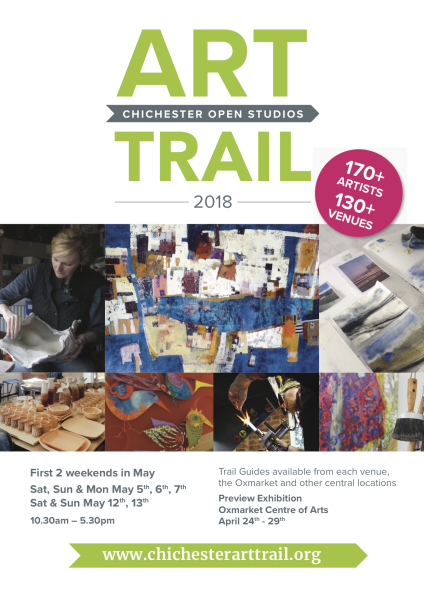 I'm doing the Chichester Art Trail again this year. This will be the 3 rd year. I've really enjoyed doing these and love meeting the people who come to look at my work. I've met some lovely people. It's on the 1st 2 weekends in May from 10.30 until 5, all 5 days, so please do come along. I may even make a cup of tea for you. 'The Rose', which is in the gallery has been sold, but will be making an appearance so come and see it in person before it goes to it's new home.